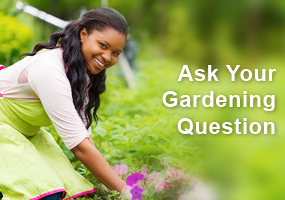 The Master Gardener (MG) Program was originally created to develop a volunteer staff to assist Extension agents in answering gardening questions. The program has since expanded to encompass many activities besides just answering questions at the Extension offi ce — although this is still a component of many local MG programs. MGVs are the face of UW-Extension Horticulture in many counties, offering numerous educational opportunities for the public. 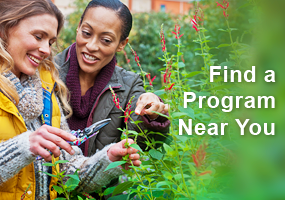 Many groups have annual seminars, provide classes on various topics, give talks, write educational newspaper or web articles, and connect with gardeners by many other indirect means to engage them in gardening. This report focuses on the many ways MG Volunteers (MGVs) get people to learn through active participation in gardening activities through workshops, at events, and other hands-on educational opportunities. One of the most common ways MGVs directly engage others in gardening is through youth programs that teach children about growing plants. Horticulture-related activities for children are often promoted at area events to engage the youth and their parents. Adams Co. MGVs provided pots, plants and soil and helped over 500 children plant fl owers to take home at their County Fair booth. The North Central Wisconsin MGA (Marathon Co.) had a planting area for children to help youngsters acquire and practice basic planting skills at Gardenville, their annual plant sale. At the Range Masters’ (Iron Co.) “Master Gardener Day” MGVs helped children plant cherry tomato plants, and gave parents care instructions so the family could grow them at home. In Vilas Co. over 300 6th graders learned about and tasted micro greens at ‘Youth Coalition Career Days’ with the MGVs helping them planting a pot of micro greens to take home to share with their families. At their annual Farm Market booth, Winnebago Co. MGVs helped children correctly plant a fl ower to take home and plant in their home garden. Many of the participants proudly reported that they still had their plants from previous years. In Columbia Co., MGVs engaged 175 elementary students in growing edibles in their classrooms through their micro-farm project. MGVs teach the students how to plant and grow seeds for a variety of small vegetables and provide resources to the teachers to help connect this project to other curriculum goals such as literacy, writing, measuring, and graphing skills. When the volunteers return to help the students harvest the greens, they also learn about food safety and nutrition. Students consistently have been willing to taste new greens through this project and have expressed interest in doing more gardening at home. Many MGVs participate in school programs to teach students about growing and using plants. The Barron Co. MGVs participate in the Sunfl ower Project, visiting as many as 20 classrooms in the spring to teach 2nd or 3rd graders about gardening. Sunfl ower seeds are sent home with students for a contest. The next fall, MGVs return to the 3rd or 4th grade classes and award a prize for the largest sunfl ower grown over the summer. At the Cardinal Country Daycare, Columbia Co. MGVs taught the preschoolers how to plant lettuce, radishes, carrots and beets. The children kept their gardens on window sills in the classroom and when the MGVs returned for a harvest day, the children were encouraged to try the plants separately, and they could taste the differences! The WE GROW program at West Elementary School in Jefferson engages students as well as their parents in the After School and Summer School programs, with MGVs guiding their activities. Ozaukee MGVs work with the Green Team at Webster Transitional School (grades 6-8) in Cedarburg with 30 students in this group that planned and planted the school garden. Five Green Team members assisted MGVs with a 2-week summer academy called Garden Sprouts for 25 K-3 students. At the Curtis Strange Elementary School in Kenosha, Racine-Kenosha MGVs plan and organize classes throughout the school year for 4th and 5th grade students. There are discussions and hands-on activities, such as starting a worm bin and making newspaper eco-pots for seed starting. Students plant and harvest the fruits and vegetables in the Learning Garden, sharing with their families and the local food pantry. Southeast Wisconsin MGVs (Milwaukee and Waukesha Cos.) assisted Greendale schools in developing a vegetable garden which harvested 750 pounds of produce which was used by the school food service and foods classes. The K-12 schools used the garden for activities, such as starting seeds and planting them. They taught lessons on composting and had students manage it. They created a Garden Club which highlighted a “Vegetable of the Week” Friday free sample day from Sept. through Nov. In addition to these types of school programs, many MGVs work with students in their school gardens to guide the children in preparation, planting and maintenance activities, or assist staff in school gardens that grow produce for donation or local consumption. In Crawford Co., MGVs helped the new director of the Bluff View Middle School Gardens, who had no garden experience, by advising him and the students and other volunteers on how to prepare the site, what to plant, and how to care for and harvest them, resulting in 150 pounds of fresh produce donated to the local food bank. Fond du Lac Co. MGVs have worked with four schools for several years now, and three more schools requested help this year. At most schools, students got to start seeds and help plant the garden under the MGVs’ direction, and students and their families or other volunteers maintained the garden over the summer before harvesting the vegetables. In the New Glarus School Garden, Green Co. MGVs helped plan the garden and provided support for the teachers during selected elementary summer school classes. Students helped care for the garden and sample vegetables as school snacks. Produce from the gardens was donated to the Green Co. Food Pantry or the school lunch program. Juneau Co. MGVs helped lead a program for 75 students in the Royal School District in Elroy to interest K-4 students in growing food and encourage healthy life styles. They taught various classes and showed the children how to prepare the ground, plant the seeds, tend the garden in the summer (along with their parents), harvest their produce, eat the produce, and then clean-up the garden and compost the waste. Along with the 4th grade teacher at the Hatley Elementary School, North Central Wisconsin MGVs (Marathon Co.) work with 4th and 5th graders and interested community members planning, growing, tending, harvesting, and eating their own food. In Vilas Co. MGVs helped students at three elementary schools plant and care for quick growing crops in their new school gardens. Portage Co. MGVs put the 15 preschool children and almost 50 young school age children in their summer gardening program to work planting, weeding, picking bugs off, and harvesting the gardens. They chose untreated seed and sturdy transplants to let the children fi ll the beds. Students picked beans and peas, eating almost as much as went in the basket. Onions, cucumbers and beets gave each child something to take to the table and weigh. Most wanted to take home vegetables to show their parents and share the garden experience. Besides school-based programs, MGVs participate in many other youth garden programs that let the children get their hands dirty. Chippewa Co. MGVs worked with the Bloomer Library’s summer reading program for children by offering a weekly, hands-on beginner gardener series using a community garden plot that was planted, weeded, and harvested over a six-week period. At 4-H Planter Night, Columbia Co. MGVs help 4-H members create large decorative containers for beautifying the county fair. Members learn basics of container gardening that they will be able to use for themselves, while creating unique planters that will be judged at the fair about 9 weeks later. Walworth Co. MGVs also work with local 4-H groups, as teams of MGVs taught 4th and 5th graders from the DelavanDarien school district about plant propagation and pollinators. In Door Co., MGVs used The Garden Door and adjoining vegetable garden for their youth program that brought 60 third grade students to plant 6 vegetable plots and learn about potatoes and compost. The same students returned in the fall to harvest the vegetables and do other activities. In Fond du Lac Co. the Junior Master Gardener program included the kids making the garden where they grew vegetables, and later had a family day with a meal prepared by the kids from the garden produce. They also prepared fl ower arrangements and delivered bouquets to a local nursing home. In March the MGs of the North (Oneida Co.) had a handson project for the children in the YMCA Healthy Kids Program. The kids planted lettuce seeds, learned how to care for them and then took them home. At the YWCA Children’s Garden in Wausau, North Central MGVs (Marathon Co.) mentor and help young children participating in the daycare program learn square-foot gardening techniques and participate in book, art, and craft projects. St. Croix Valley MGVs (Pierce and St. Croix Cos.) held their Junior Garden U at the Demonstration and Learning Garden in Hoffman Park, River Falls in June with 20 kids enjoying hands-on gardening experiences. Southeast Wisconsin MGVs (Milwaukee and Waukesha Cos.) have many youth gardening programs with weekly hands-on activities including the Young Gardeners Program paired with Boerner Botanical Gardens, the Pan-African Community Assoc. garden/education project partnered with the AKA Black Women’s Sorority, and the Havenwoods Buds ‘n’ Sprouts summer youth garden program run by the DNR. Several hundred children ages 5-12 have learned the basics and rewards of gardening in Children’s Gardens in New London, Waupaca and Iola for at least 10 years as Waupaca Co. MGVs taught them how to grow and care for plants in the program garden and in their family gardens. Iowa Co. MGVs created an all-edible planter of trailing nasturtiums, kale, chard, basil and twining Malabar spinach that was placed at the entrance to the Mineral Point Library. Children were encouraged to pinch off and taste the plants to demonstrate that they are not only pretty to look at, but delicious, too. Many MGVs provide direct, hands-on gardening experience to adults through various training programs and hands-on workshops. Many of these programs focus on growing food plants. Apple grafting workshops were hosted by the Barron Co. and Chippewa Valley MGAs where participants learned about the process, then got to try it themselves. Grant Co. MGVs offered an apple pruning workshop at a local orchard where everyone got hands-on practice in pruning fruit trees. Wolf River MGVs assisted inmates with planting, maintaining and harvesting a vegetable garden at the Shawano County Huber Center. The produce was used in the inmates’ daily meals. Some training programs are aimed at new homeowners, with many groups partnering with the local Habitat for Humanity. For example, in Winnebago Co. MGVs worked with new homeowners to design landscaping for their homes, select plant stock, correctly site and install the plants, and teach all on how to care for the new gardens. Polk Co. MGVs taught new Habitat for Humanity homeowners how to prepare their yard for planting grass seed, as well as landscaping and basic gardening. Other hands-on programs are directed at seniors or those with limited abilities. Ozaukee MGVs assist with the resident garden club at Lasata Care Center, the county-run skilled nursing facility, helping with activities of planting in the greenhouse, planting and maintaining wheel-chair and standing height raised vegetable and strawberry beds, and beautifying the grounds for the enjoyment of the residents and their families. Winnebago Co. MGVs have a vegetable garden with trellises and raised beds for the residents of the county nursing home, and although most of the residents are no longer able to do much planting or tending, they love to come out to the area and pick vegetables. The Lifelong Gardening Committee of the Southeast Wisconsin MGA (Milwaukee and Waukesha Cos.) had many programs with hands-on experiences, including making seed tapes with the South Shore Garden club, a pruning class at Ten Chimneys, and enabling garden tool use at the Kelly Senior center. A Wood Co. MGV started and guides a Garden Club at the local senior center. The group of a dozen seniors meets twice a month, with programs for learning as well as therapy for them. One of the activities that they performed together was dividing plants in an overgrown bed. Through the Rotary Botanical Gardens, several Rock Co. MGVs have worked with individuals in the Chestnut House program in Janesville—which teaches skills to developmentally disabled young Taste That Plant Iowa Co. MGVs created an all-edible planter of trailing nasturtiums, kale, chard, basil and twining Malabar spinach that was placed at the entrance to the Mineral Point Library. Children were encouraged to pinch off and taste the plants to demonstrate that they are not only pretty to look at, but delicious, too. 13 adults in an effort to help them transition from high school into adulthood—teaching participants about gardening and helping them with individual projects. Washington Co. MGVs worked at Threshold, a local facility that mentors those with mental/physical challenges, to help promote gardening within the facility, and assist clients in planting and tending several raised beds in their new gardens. Waupaca Co. MGVs helped 65 low income families learn how to grow, store and use their own vegetables. They were given seeds and starter plants along with tools, and compost to start their own gardens, and were provided with written care information. At the end of the year the families reported on the results of their garden. 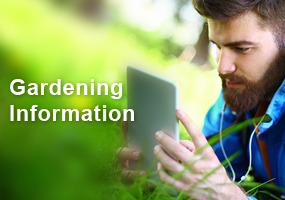 Most had greatly increased their gardening knowledge as well as consumption of vegetables. And of course many programs are for gardeners of all ages. Door Co. MGVs led hands-on gardening involving children and parents in planting heirloom plants in the Victorian Era Garden at Crossroads at Big Creek Youth Program. Wood Co. MGVs helped with an Intergenerational Garden Day at the senior center in Wisconsin Rapids. A couple dozen seniors as well as younger folks participated in activities to paint flower pots and repot sunflowers. Columbia Co. MGVs lead a container gardening workshop in Portage that was advertised in the newspaper, with posters at low-income housing, food pantries, and at businesses around town. Participants received containers, seeds, and potting mix at no charge, and were taught about growing locations, planting and watering. MGVs emphasized growing vegetables that would be healthy to eat, and to grow new vegetables. At the Endeavor Sharing Supper, Marquette Co. MGVs provided hands-on activities for 30 families focusing on colorful heirloom bean seeds. A Seed is Sleepy was read to the youngest attendees, while older youth planted peas in recycled soda bottle greenhouses to take home. Adults and their children/grandchildren learned about square foot gardening. In the past few years, as Community Gardens have become more popular, more and more MGVs have used these venues to engage people of all ages in gardening through various programs in these gardens across the state. MGVs in Fond du Lac Co. and Juneau Co. mentor new gardeners in the community gardens they work in. One participant in the Clark Co. MGA’s community garden who had tried gardening for the fi rst time last year, took the training again and seemed much more confident this year as she planted and cared for her garden. A well organized “Grow with Us” campaign during spring 2014 brought many new gardeners to the Menomonie Community Garden. Getting a permanent water line to the garden was a major improvement, but education programs and events that Dunn Co. MGVs helped with—a Scarecrow Contest and a Harvest Picnic—increased participation dramatically. Lake Superior MGVs (Douglas Co.) presented a workshop for the Town of Bennett Community Garden to improve this rural community’s success in composting, container gardening and raised beds. Wolf River MGVs worked with community members to plant and care for two community gardens in Shawano and hosted gardening workshops on six Wednesdays throughout the growing season as well as providing one-on-one assistance to several first time gardeners at one garden and to children growing produce for the local food pantry in Keshena. The Marshfield Community Gardens, organized in 2010 by Wood Co. MGVs, has expanded to 3 different sites with a total of 80 plots. Orientation nights held early in the season assisted new gardeners and educated the public on the concept of square foot gardening. St. Croix Valley MGVs (Pierce and St. Croix Cos.) held service days in their community garden with members of the community, including many young adults, joining the MGVs in working on the garden. These are just a few examples of the many ways MGVs throughout Wisconsin are directly engaging others in gardening to improve the lives of our citizens. For more examples of how MGVs are making a difference in their communities, please read the individual association pages in the full Wisconsin Master Gardener Program 2014 Accomplishment Report.